Consumer awareness of health-promoting fatty acids has jumped dramatically in the last couple of decades, as research continues to support the range of health benefits from omegas. Now, rather than avoiding all types of fat, health-conscious customers are realizing the benefits, with the greatest awareness being around omega-3s. 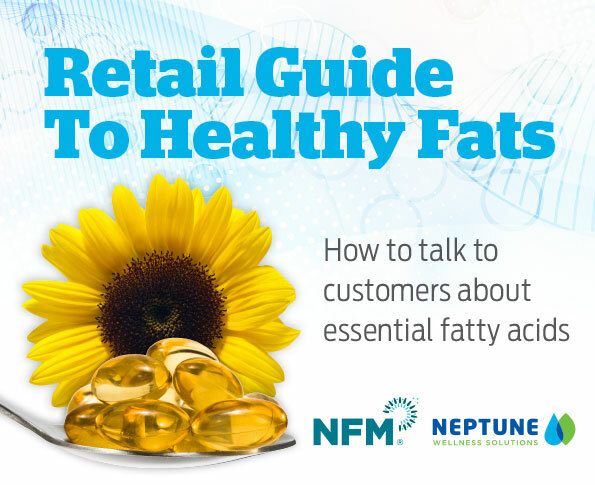 This download contains information that retailers need to know to educate their customers about the importance of essential fatty acids.